The National Women’s Law Center just released this button, along with a campaign to promote a fair budget, balanced not on the backs of the most vulnerable among us, but on fairness to all. 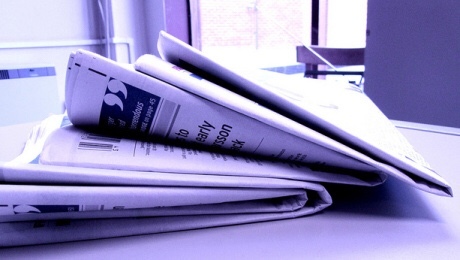 There were key developments on the federal budget this week. The House and Senate each released its own budget for FY2014. They could not be more different. The House budget slashes critical services for vulnerable families while the Senate invests in early childhood programs, protects programs vital to women and families, and advances tax fairness. Give massive tax breaks to the wealthiest Americans and corporations by lowering the top individual and corporate tax rate to 25 percent. Repeal the Affordable Care Act — denying millions of women and families access to affordable health insurance. Dramatically cut funding for programs like Head Start and child care assistance, which help women work and children learn. Dismantle core safety net programs by turning Medicaid and SNAP (Food Stamps) into block grants. Cut funding for K-12 education, Pell Grants, job training, and domestic violence prevention. Increase investments in early learning and home visiting programs, giving more children access to the prekindergarten, child care, Head Start and Early Head Start opportunities. Protect Social Security and core safety net programs. Permanently extend the improvements in the Child Tax Credit and Earned Income Tax Credit that lift millions of women and children out of poverty. Expand access to affordable health insurance and preventive care services by continuing to implement the Affordable Care Act. Close corporate tax loopholes and limit unfair tax breaks for the wealthiest Americans. Two budgets. Two visions. We need to speak up for the vision that puts women and their families first. 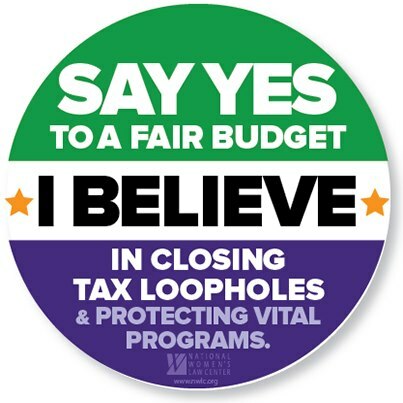 Please join us in support of fair budgets by sharing our button today.